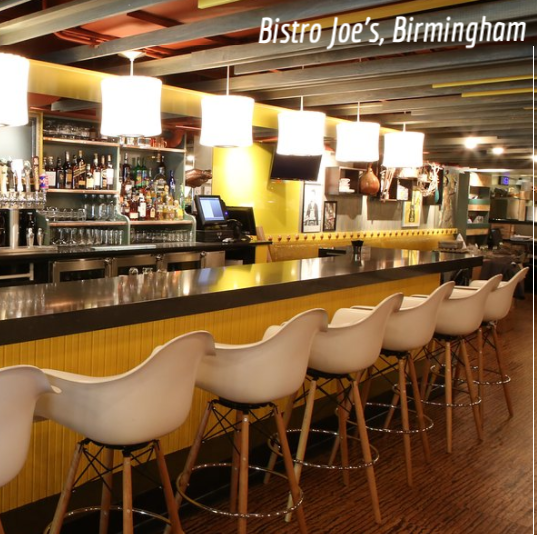 Bistro Joe’s is an evolution of the Papa Joe’s experience. Their mezzanine setting is a comfy blend of vintage and contemporary, designed to encourage shared dining experiences with friends, old and new. Their menu is inspired by fresh, sustainable ingredients found in their own market. Patrons enjoy innovative creations on homemade flatbreads, fresh from a wood oven. Their charcuterie and artisanal ensure an array of meats, breads and cheeses, while their Oyster and Seafood Bar prepare “Fruits” of the Ocean for novices and connoisseurs alike.